This was my first short story and a blast to write. It stemmed from a couple writing exercises during a workshop with ARWA and took off. Characters and stories have a way of doing that. The references to "25" were in honor of ARWA's 25th Anniversary. Happy 25th ARWA! Some napkin dispensers hold napkins, others have gorgeous heros locked inside. Shay just wanted to grab a bite to eat and pretend her life was safe. She never expected to be responsible for rescuing a handsome hero. Eric has had enough of being in the wrong place at the wrong time; he’s locked in a napkin dispenser for goodness sakes. It might be worth it, though, he’s falling fast and hard for his feisty rescuer. But a sinister force threatens them both; will true love save them in time? 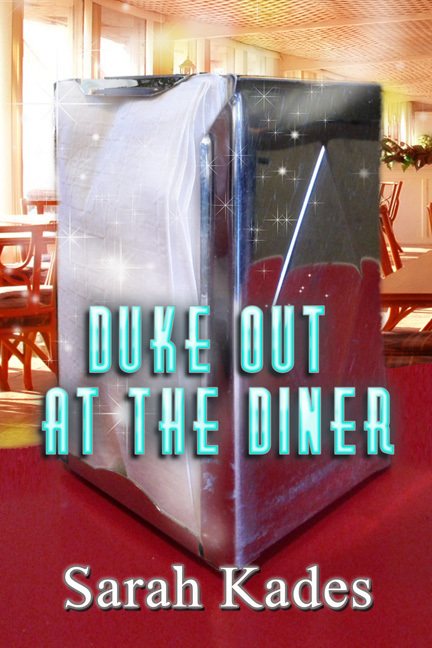 Duke Out at the Diner, A Short Story, is now available on Amazon. Happy Reading!